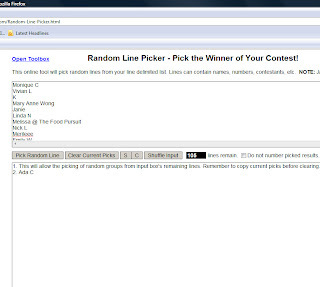 Sherman's Food Adventures: 2nd Anniversary Draw Winner! Okay, I didn't use Random.org because I had to pay. So I decided to use an alternate site. After painstakingly entering all the names in, I find out that I put it in the wrong box. Had to do it again! 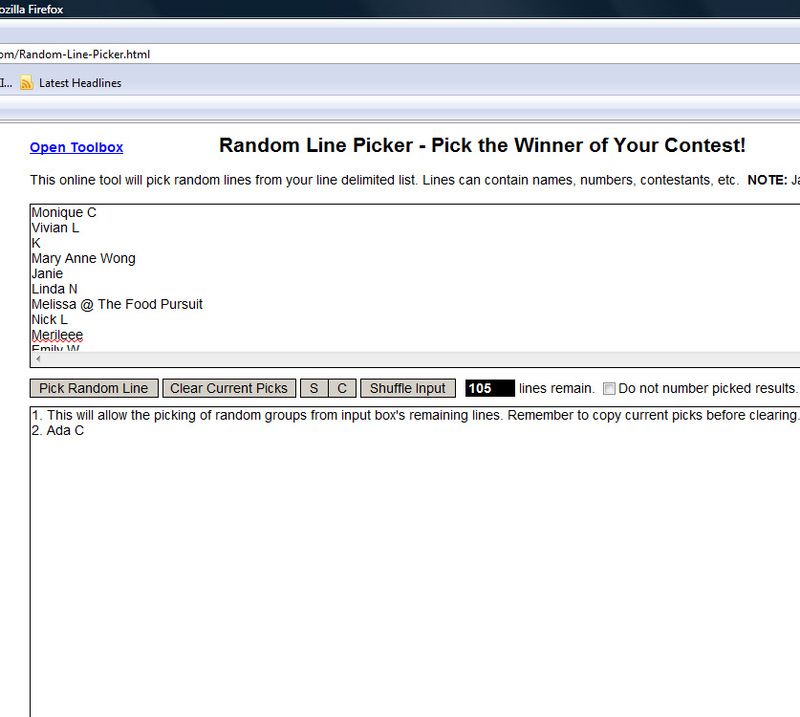 So without further ado, the winner of the $50.00 gift card is... Ada C.!!! Ada, please email me directly at admin@shermansfoodadventures.com and I'll have it mailed to you. Congrats to Ada and thanks for all that entered! From one (past) winner to another, congrats Ada. Sherman's blog is the best isn't it? Dang, I knew it, this contest is rigged !! !